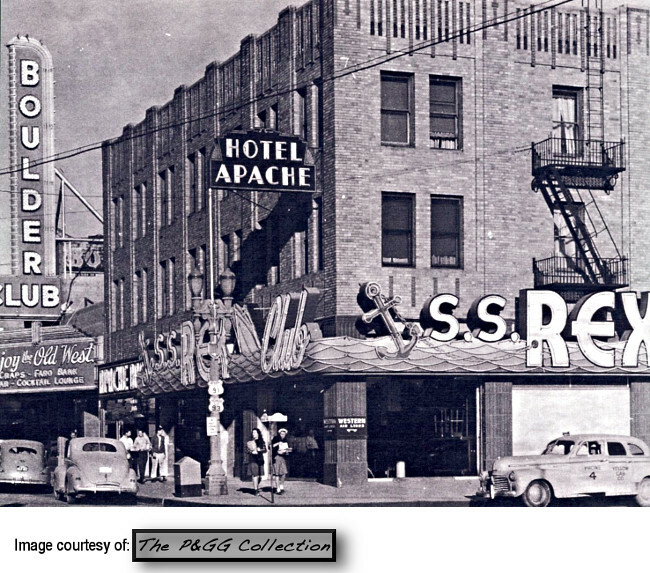 After the closing of the Rex Club(s) the Eldorado Club with some of the same cast of colorful characters took over. Below is a really great find from our friend ChipBoyJim!! It's a payroll record from the S.S. Rex Club from May of 1945. It shows a payroll of $25.00 a night for a "Pit Man" named Israel Alderman. This gentleman was also known as Israel "Ice Pick Willie" Alderman. Willie was a colorful mobster, part of the "Jewish Mafia" of Minnesota, and enforcer for David Berman. 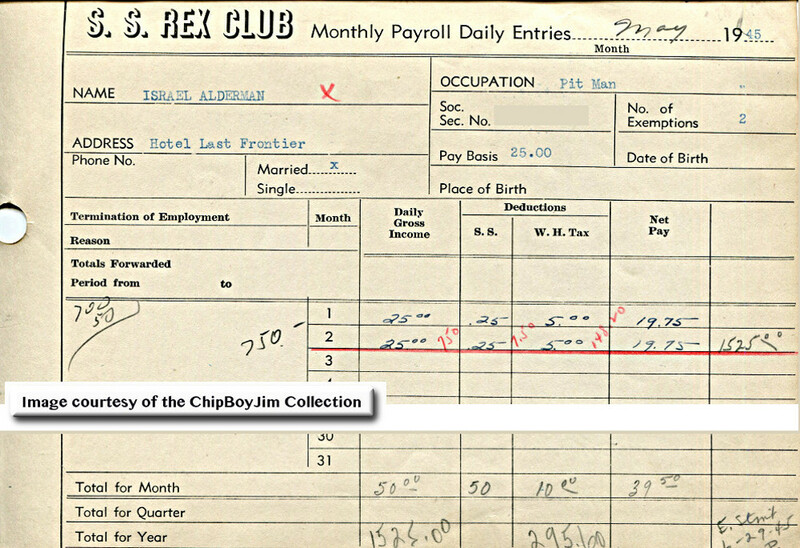 This payroll record is from the time that Tony Cornero (and others) owned the S.S. Rex from it's opening day of March 3, 1945, through June 7, 1945. Interestingly, the gross total for the year paid to Israel "Ice Pick Willie" Alderman was $1,525.00. (See the bottom of the payroll sheet). That equals exactly $25.00 per day for 61 days from March 3, 1945, through May 2, 1945, the cut off date on the ledger for payment to Willie. The man worked 61 straight days without a day off! Or did he? Maybe he never set foot in the joint. 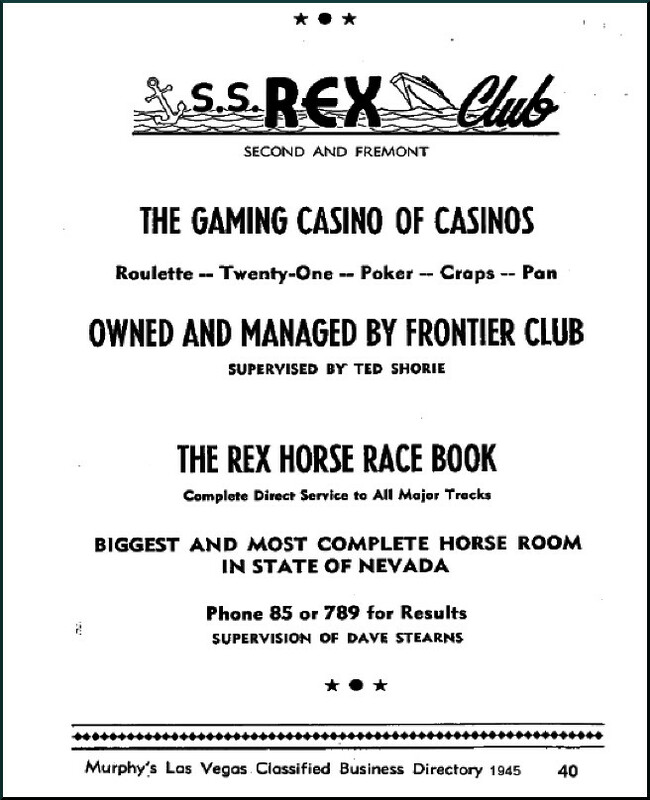 Maybe Cornero put him on the books as a favor to David Berman, Willie's good buddy from Minneapolis and the guy who ran the Riviera from it's opening day in 1955 until he died in June of 1957 during an operation for a glandular condition at a Las Vegas hospital. 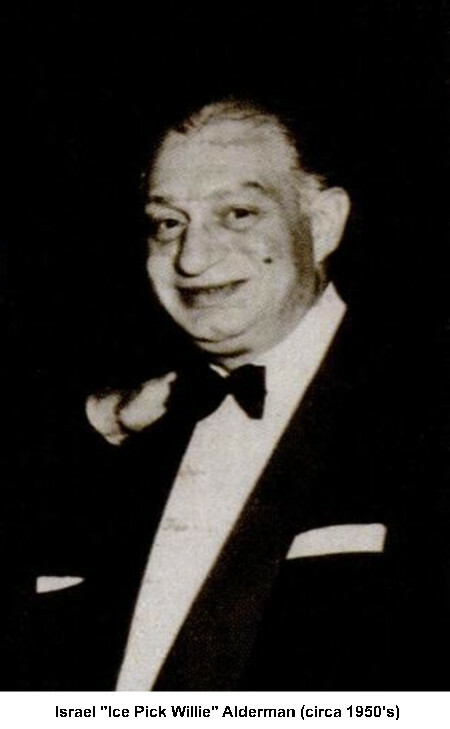 Willie's boss and best friend, David Berman had run bootlegging and gambling operations in Minneapolis during the 1930's and 1940's with the blessing of Meyer Lansky, Frank Costello, Moe Sedway and Lucky Luciano. In 1945 David Berman (nicknamed "Davie the Jew") moved his gambling operations from Minneapolis to Las Vegas thanks to another well known name, Hubert Humphrey. In 1945, Hubert Humphrey was elected mayor of Minneapolis with a pledge to break up the illegal gambling rackets. Humphrey would later become vice-president of the United States under Lyndon Johnson! 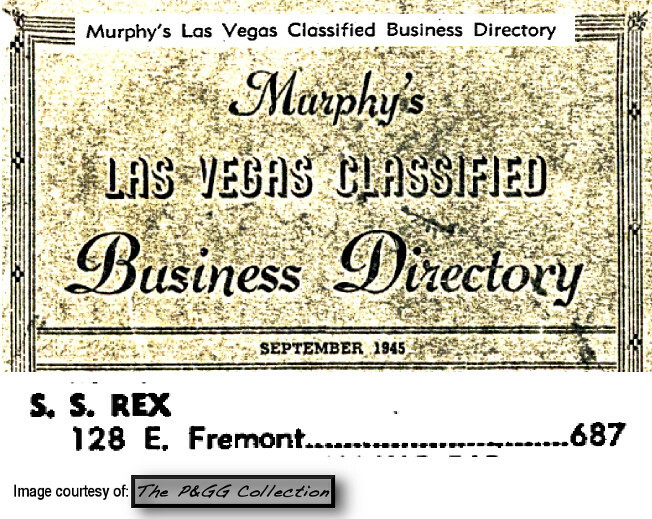 Berman worked in Las Vegas with his good friend and Genovese Family associate Moe Sedway who was also an owner of the Rex Club for part of 1946. 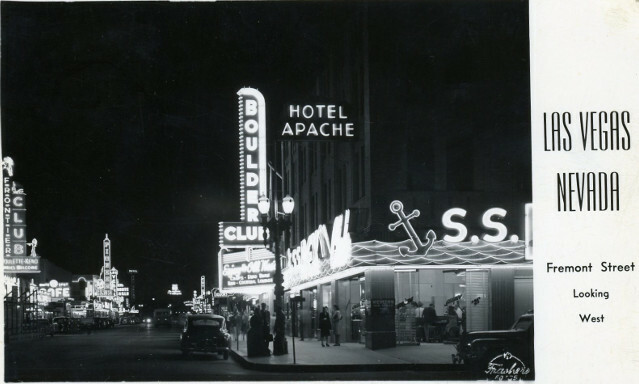 Berman and Sedway had bought interests in the El Cortez, The Las Vegas Club, and later the Eldorado Club, as fronts for their mob bosses who didn't want to live in the desert but appreciated the value of the growing casino revenues.